Make this year extra special with family or friends by booking your 2018 Christmas or 2019 New Year break in one of Hoi An Tourist Holding's resort or hotel. 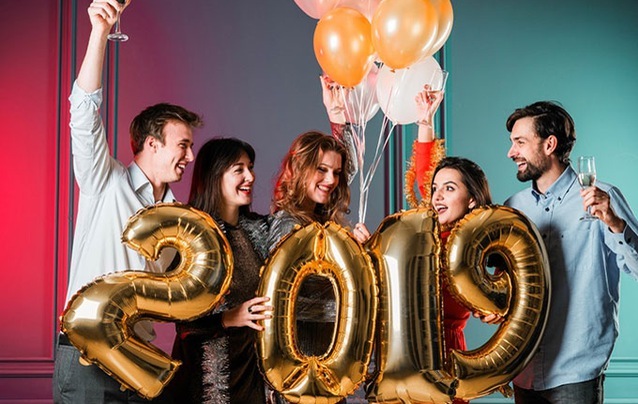 Count down with fun and let's welcome 2019 in the most memorable way! Why not spend Christmas or New Year’s Eve 2019 at the Hoi An Historic Hotel , right in the heart of the city? Soak up the atmosphere of this ideal destination for the holidays as you immerse yourself in local traditions. The hotel is located at the very heart of Hoi An City, and only a few steps from the famous ancient town. 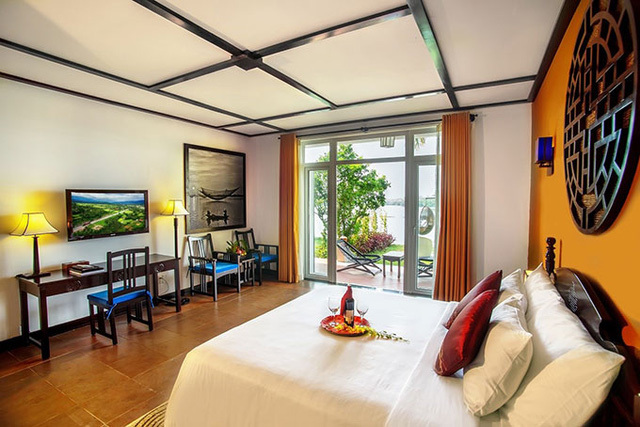 Hoi An Historic Hotel is 4-star hotel where 150 elegantly styled rooms are provided. Furthermore, other facilities and services include restaurant & bar, fitness center, tennis court, kid’s club, beauty & spa and swimming pool offer an unforgettable holiday for the travellers. A mini-break at the beach city just might be the best way to celebrate Christmas and New Year’s Eve with the whole family. At the Hoi An Beach Resort, with a great beachside location, this resort offers picturesque sea views. Each spacious room is bright, simple and comfortably furnished. Spend time relaxing by the two swimming pools or enjoy a delicious meal as you take in the river views from the restaurant. Located between the romantic De Vong River and the famous Cua Dai Beach, Hoi An Beach Resort established under the ideal concept of Viet Nam traditional village, recognized as an oasis of peace where the river meets the ocean, this resort offers a total of 121 luxury rooms and suites, featuring a fresh and unconventional contemporary design preserving the Vietnamese heritage while offering outstanding comfort and luxury. Make the most of your December vacation to enjoy the Christmas and New Year atmosphere in the stunning Tam Ky city of Quang Nam province, Vietnam. Offering the view of Tam Thanh beach, Tam Thanh Beach Resort & Spa is a ideal resort for your holidays included 16 rooms and villas, with the spacious room size up to 60 square meters. A-step-to-the-beach restaurant, front beach bar, swimming pool with sea view, spa services completely near by. 2018 has been a successful year for Hoi An Tourist Holding when Hoi An Historic Hotel & Hoi An Beach Resort have achieved many prestigious world’s tourism awards and locally tourism awards, such as: World Luxury Hotel Awards 2018, The Guide Awards 2018, Luxury Travel Guide 2018, Vietnam Tourism Awards 2018, Studious Quality Awards 2018, etc. It’s seductive beaches have earned the southern coastal city of Vung Tau deserved fame as a choice destination for beach trips.